In celebrating our past, Diversity Richmond made history during the month of February. In partnership with The Black History Museum and Cultural Center of Virginia, we formally recognized Black LGBTQ History, something that has never been done in Richmond before. 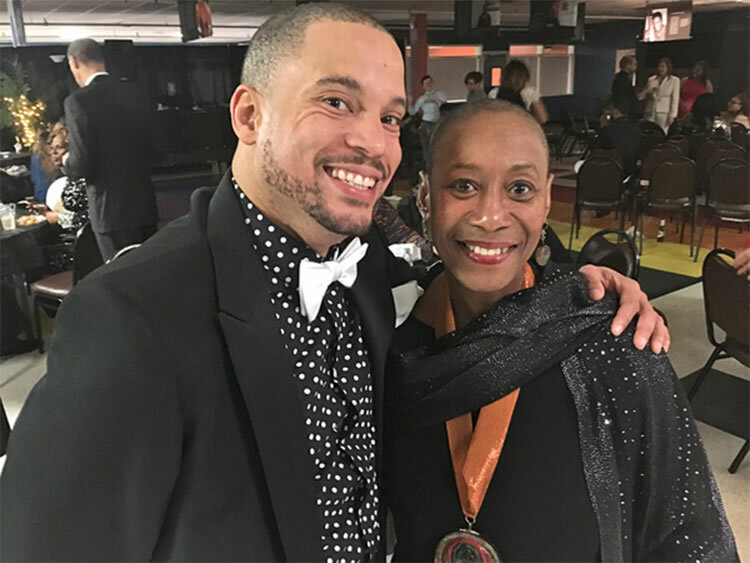 Kicking off the month-long celebration with the Black and Bold Awards on February 3, we hosted a number of workshops and activities, celebrating the lives of the Black LGBTQ Community. The workshops ranged from Dr. Ravi Perry's discussion on Black Queer Politics to Powerful S.I.S.T.A: Celebrating LGBTQ Women of Color. Mrs. Tasha Chambers, Dr. Ravi Perry, "Miss Community" Clovia Lawrence, Desiree Roots, Rev. Rueben Boyd, Jr., Rev. Lacette Cross, Rev. Kenny Callaghan, Rev. E. Taylor Doctor, Faith Restoration Church, Third St. Bethel A.M.E., Metropolitan Community Church, Nationz Foundation, T Gurlz Rock, UGRC - Us Giving RVA Connection, Chevelle Moss-Savage, Christina Hairston and Angelique Scott. 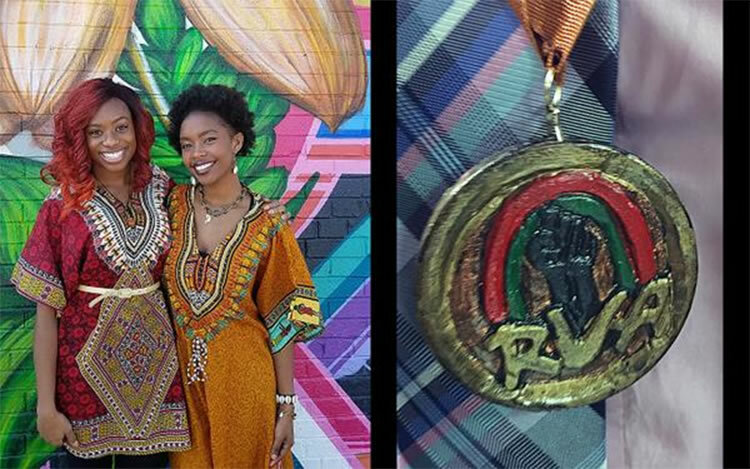 For Black LGBTQ History month, two incredibly talented women left a lasting impression on the 17 honorees for Black LGBTQ History Month with their design and metal work for a one-of-a-kind works of art celebrating this year's recipients. Virginia Commonwealth University students Christina Hairston and Angelique Scott lent their talents and the results were beautiful. 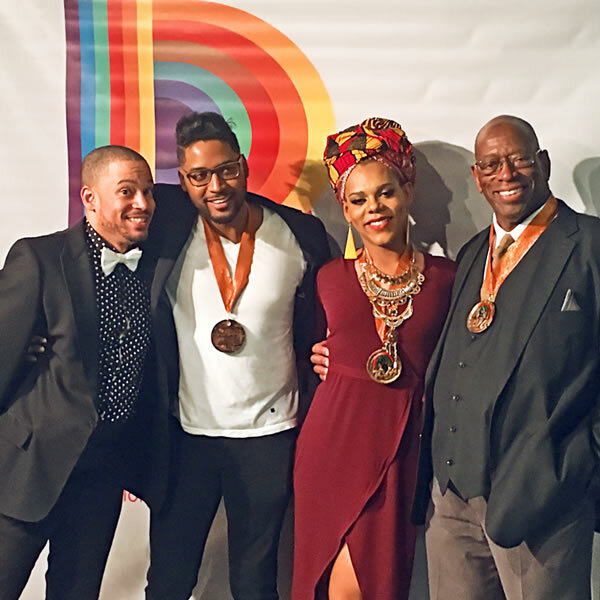 Angelique shared, "I was honored to be able to create the hand-made medals to celebrate Diversity's Black & Bold LGBTQ Honorees. I wanted to create something that was special and represents the meaningful work they do in their communities daily. It was important to me to put care and quality into each hand-made medal in the same way the honorees hold such passion and fearlessness in all that they do." Christina added, "It was a pleasure to create the designs for the marketing materials for Diversity Richmond's Black & Bold events. I wanted the designs to be of an elegant yet powerful nature to reflect the variety of thoughtful and meaningful events planned." Christina and Angelique are two wonderful examples of what good hands the future of our civil rights movement is in. A social service organization, Alpha Psi Kappa is an LGBTQ Greek nonprofit organization. 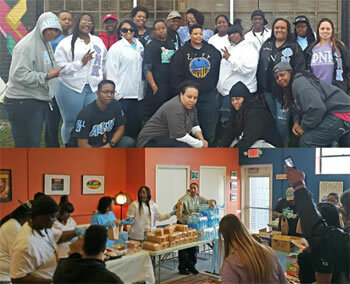 Along with members from Baltimore and Hampton Roads, the group gathered at Diversity Richmond and prepared 250 lunches and delivered them to homeless shelters and areas of the city where displaced people tend to gather. "We prepared nutritionally-balanced lunches and delivered them throughout the Richmond area," shared member and Diversity Richmond board Treasure Crystal Suber. Alpha Psi Kappa is a wonderful example of the best of our community and Diversity Richmond was very proud to help support this effort. "We are Passionate about giving back to the community." 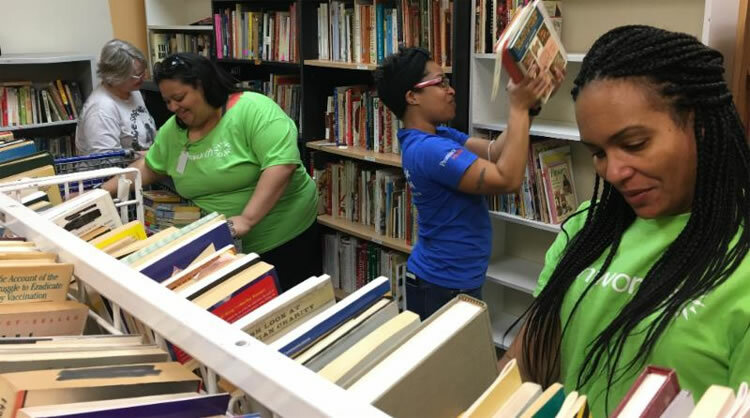 Several Genworth Financial employees recently volunteered at Diversity Thrift, helping organize the hundreds of donated books for sale. "Genworth is passionate about giving back to the community," stated Victoria Redd. "Our LGBT Forum focuses directly on assisting our LGBTQ+ affiliates within the community. We love the mission and drive of Diversity Richmond. 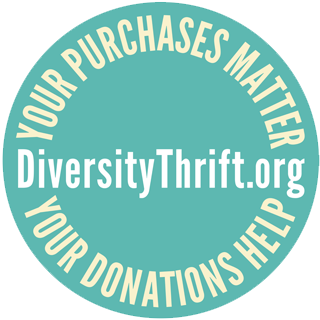 We were thrilled at the opportunity to provide what we hope will help better serve the supporters of Diversity Thrift." Victoria also serves on our Special Events and Fundraising Committee. We could never make the difference we do in the community if not for the support of folks such as our friends at Genworth Financial. Thank you! Pictured (L-R) Genworth's Susan McGavey, Victoria Redd, LaToya Hubbard and Joy Spain. Richmond Is Top Finalist in British LGBT Award! Yes, our own Richmond, Virginia is a Top Ten Destination Finalist in the British LGBT Awards and we need your vote. The competition is stiff as we are up against Amsterdam, Barcelona, Miami, New York, Orlando, Vancouver, San Francisco, Sao Paulo and Stockholm. Voting is easy and only takes a minute. Voting ends March 22. What a tribute this is to all the good work by the OutRVA team. Once again, we are making history! History was made on Feb. 3 as Diversity Richmond recognized 17 local African American activists for their outstanding work in the community. This was the first event of its type in Central Virginia, according to Diversity Board member Dr. Ravi Perry. "We wanted to raise the awareness of the many influences of our Black LGBTQ leadership. The community's responses have actually been a bit overwhelming." Over 200 people crowded into the Diversity Richmond Event Hall and celebrated the accomplishments and contributions of the African American community. Receiving the Black and Bold Awards were Anderson Bertrand, Jenise "Justice" Brown, CasSandra Calin, Patricia Corbett, The Rev. E. Taylor Doctor, Austin Higgs, Michael O. Holman, Micky Alexander Jordan, Eric S. King, Marquis D. Mapp, Zakia McKensey, Chevelle Moss-Savage, Sean M. Smith, Terrie Pendleton and Paris Fitzgerald Prince. Ryland Roane, Jr. and Jacqui B. Singleton were posthumously recognized. Both events are free and open to the public. For more information, contact Rodney Lofton, Program Coordinator at Diversity Richmond. Strangeways Brewing salutes Diversity Richmond! 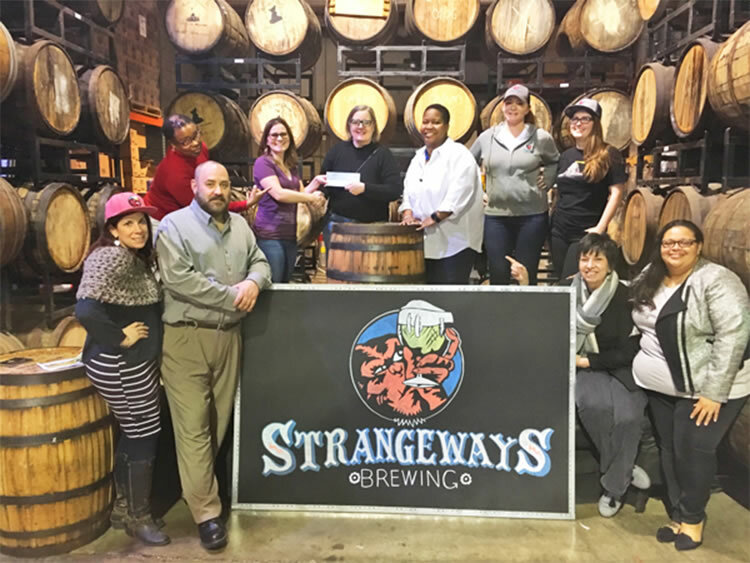 Strangeways Brewing recently celebrated Diversity Richmond by donating a percentage of their nightly sales to our good cause. Not only did they raise much needed funds to support our programs, the crowd had a great time in the process. Check them out here. Pictured: Strangeways Hospitality and Events Manager, Erin Brunner presents a $400 check to Diversity Richmond board member Robyn Bentley. Joining in are (from left, back row) Diversity volunteer, Romilda Smith; volunteer Karla Bray; Strangeways employees Melissa Randolph and Holly Sowers. (front left) Strangeways employee Tonie Stephens, Diversity Richmond board member Brian Harrison, and volunteers Lisa Cumbey and Victoria Redd. SunTrust is a good friend of Diversity Richmond. Among other things, the bank sponsored our huge party, The Big OH! last year. 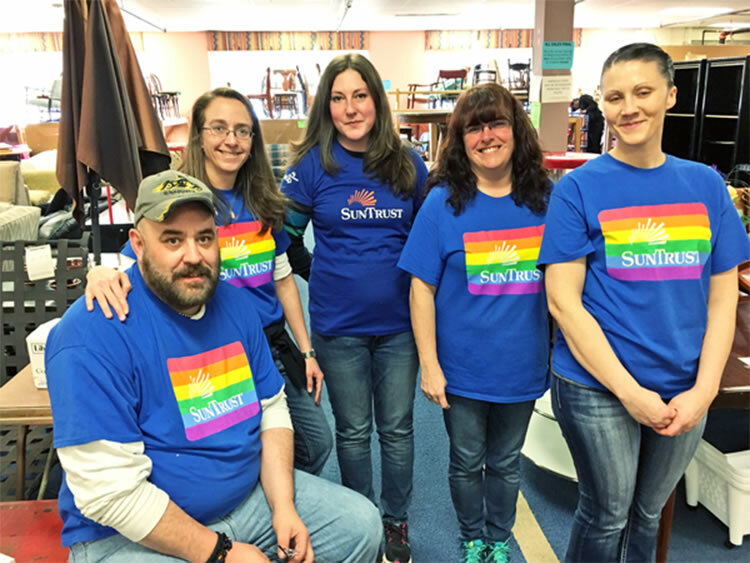 Five SunTrust employees lent us twelve helping hands recently by volunteering in Diversity Thrift. Pictured are (L to R) Diversity Board Member Brian Harrison, and fellow SunTrust employees Heather Christenson, Priscilla Fredlund, Rebecca Flowers and Lucy Hentges. Thanks everybody. Much appreciated! 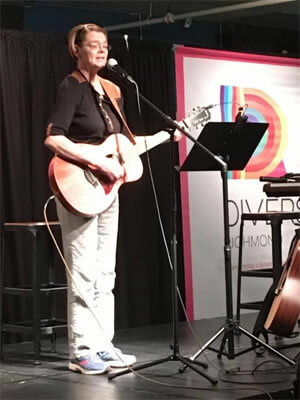 When Dee Graham pulled together an open mic night, she was nervous that no one would attend. She knew there was more than enough talent in the community to support the event, but would they come? Her fears were relieved last Sunday night as the talent rolled in to perform. Folks shared poems, stories and songs they had written, along with musical numbers made famous by others. Some were a bit nervous while others appeared to be at home on the stage. It was a good night. It did what Diversity Richmond works to do every day. It built community. It bridged people. It inspired. We are planning to do this again, so if you'd like to participate or have questions, email Dee. Pictured: Jan Hampton gave us big smiles! Local consultant Dr. Yetty Shobo has been hired by Diversity Richmond to lead the organization as it maps out a five-year strategic plan. The vote by the organization's board was unanimous after meeting with Dr. Yetty and hearing her suggestions as to how to proceed in developing the plan. Her company, Overbrook Consulting, was established in 2014 and provides a variety of strategic planning, board facilitation and statistical and evaluation services to the public, private and non-profit sectors. Dr. Shobo has a Doctorate in Human Science, a Master's in Public and International Affairs and a Bachelor's in Mathematics and Statistics. She has over two decades of experience designing strategic plans and facilitating discussions among staff, board members, conducting focus groups, grant writing and survey design. She has presented at numerous national conferences on issues such as education, the workforce and substance abuse and relationships. To share thoughts about what Diversity Richmond does well and also how the organization can improve, email Dr. Shobo. All comments will be held in confidence. To mail thoughts: 1407 Sherwood Avenue, Richmond 23220. To maintain confidentiality, please note "Let's Get Rolling" on the envelope. 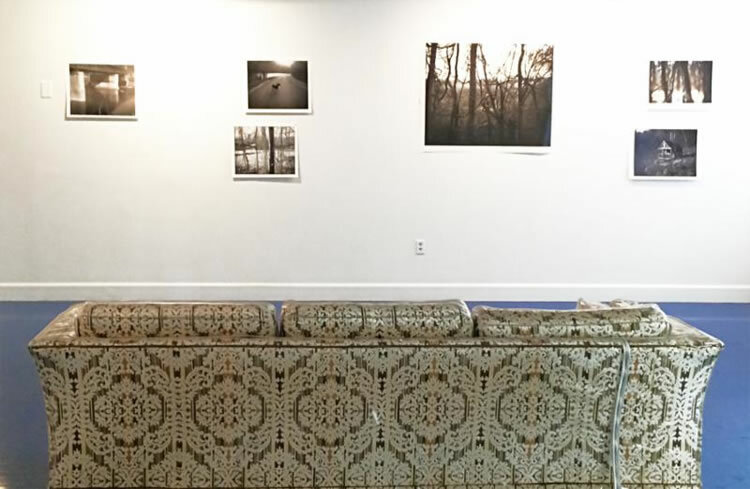 Paige Critcher's photographic, four-year labor of love explores the idea of boundaries within a visual and psychological approach to landscape. 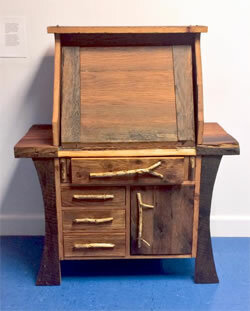 Barry's work is built entirely of reclaimed White Oak, heart of Pine, Cherry and Maple. The artist has chosen to keep what are sometimes considered "imperfections" visible in his work, allowing knots, nail holes and saw marks to give a hint of the wood's previous life. Zakia McKensey, a native of Richmond, VA has worked tirelessly to advocate for the transgender community and those affected or effected by HIV/AIDS. 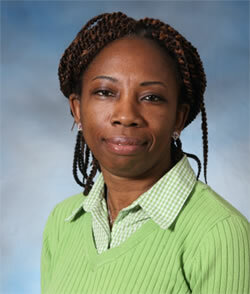 Zakia started her career in HIV prevention in 2001 with Fan Free Clinic as the MSM (Men who Sleep with Men) coordinator. She worked there for close to ten years. During her time there she was one of the founding pioneers for the TG clinic that serves local transgender clients and assists them with hormone replacement therapy and overall health and wellness. Her next chapter included becoming an employee with Richmond City Health District. There she served for six years as a Disease Intervention Specialist, helping to locate, diagnose and treat individuals who were exposed or at risk of contracting sexually transmitted infections. In December, 2015, she became the Transgender Community Advocate at the Virginia Anti-Violence Project. There she provides support and advocacy to LGBTQ survivors of domestic, dating and intimate partner violence, and helps to facilitate a healthy relationships curriculum. She is also the Executive Director and Founder of Nationz Foundation, a new nonprofit 501c3 organization that provides free HIV and Syphilis testing, as well as linkage to care services and a food pantry to assist those clients in need or who are having a rough time in life. She is an advocate for L.G.B.T.Q equality with special interest in the Transgender community. When she is not fighting the battle to erase stigma related to HIV, or advocating for survivors, she is also the C.E.O. of Nationz Pageantry System, which showcases talents of male entertainers and female impersonators. This effort promotes healthier lifestyle changes through entertainment and fashion. 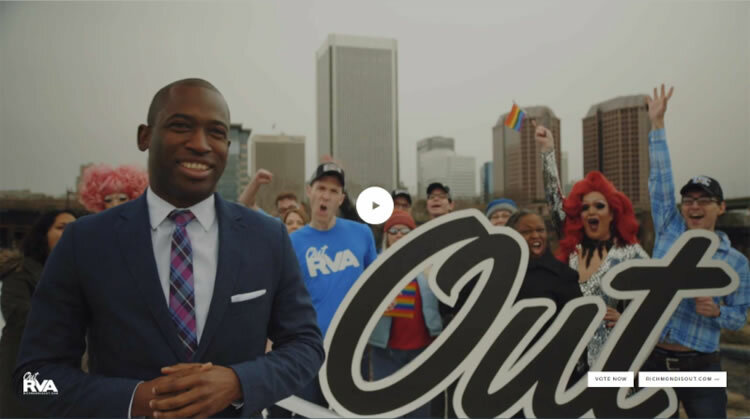 Diversity Richmond Proud Financial Supporter of "One Love LGBT Families"
Mayor-elect Levar Stoney "Richmonder of the Year"